It’s a familiar pattern. I’ll find some free time on my hands, I’ll start thinking about business ventures, and then I’ll dip my toes in blogging (or something else). I’ll start off with a decent amount of momentum and I’ll commit to a schedule. Eventually, my enthusiasm wanes and I start to care less about the project. The death nail usually comes in the form of one of my other projects requiring more attention. It’s important to be prioritizing your efforts and to maximize your output, but it’s easy to lose sight of the bigger picture (at least it is for me anyways) and small short-term gains and neglect opportunities for larger, long-term gains. I’ve written about failure and handling rejection in the past, but dealing with no response at all is different. Rejection can be a force of motivation. It’s easier to dig in and fight when someone is saying you can’t. But what about when you’re not even getting noticed? I recently bought a house. I like the house. It’s a nice house. However, the lawn is terrible. I’ve been dealing with killing weeds and planting grass and it’s a slow and tedious process. However, I’ve noticed there’s something strange about growing grass. 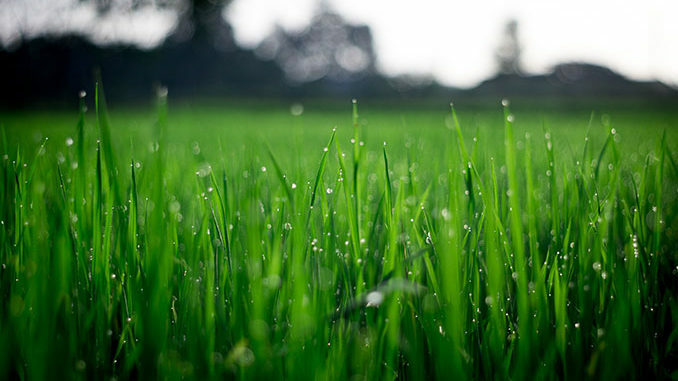 You can go out and water that grass seed 2-3 times a day, making sure to keep the seeds moist so that they can germinate and you’ll see NO PROGRESS AT ALL. Around day 5, you’re wondering if you got some dud seeds. But something magical happens the night of day 5 (or thereabouts). Suddenly a bunch of the grass shoots out of the ground and you start to see little fledgling blades of grass. NOW IT’S EXCITING! NOW THERE’S PROGRESS! After this, every time you go out to water that grass it’s exciting because you can see that you’ve made progress. You know that you’re not just watering the dirt… After this every day brings with it greater pleasure as you see it growing. Peter Thiel delved further into this concept in his book, Zero To One. It’s an excellent read. It’s not just some cliché that great things require time and consistent effort. When I first started my web development business, it took over 6 months of no progress before I started gathering clients. Even after I started making some money with it, it took another year or so before I was making more than I could have at a minimum wage job. My ecommerce business is about a year old and it’s just now starting to get to the point of “Ramen profitability” (I can afford to pay myself and my staff very modestly). Any new endeavor needs at least a year commitment to see where it’s going to go. This blog post is to serve as my public commitment to not give up on blogging and as a reminder to the few of you reading this that we just need to keep watering. The grass is just below the dirt!